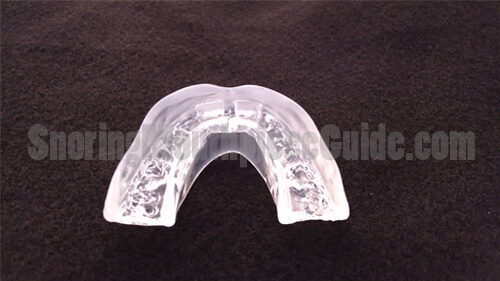 SnoreMeds is a simple boil and bite style thermoplastic Mandibular Advancement Device (MAD) that is used to prevent snoring. Its design features two air holes at the front which are an essential component for those who breathe through their mouth while asleep. This mouthpiece forms to the contour of your teeth by heating the entire unit in boiling water for 18 seconds and then placing into your mouth. It’s designed to hold the lower jaw slightly forward which helps to clear the airway by preventing loose airway tissues from vibrating against each other. While the idea of the MAD may sound far-fetched, the concept has been scientifically proven several times over since the 1980’s and for years has been used by dentists to treat snoring issues and in some cases mild sleep apnea. 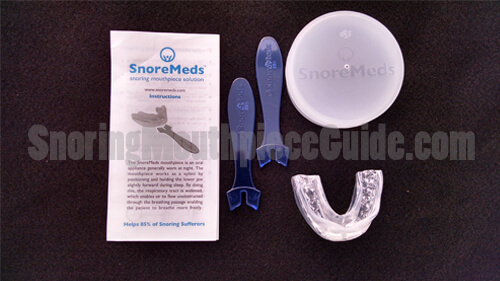 However, the at-home style MAD’s did not appear until 1994 when Snoreban introduced the first DIY snoring mouthpiece. Since then, dozens of manufacturers have replicated and sold this style of MAD, SnoreMeds being one of them. 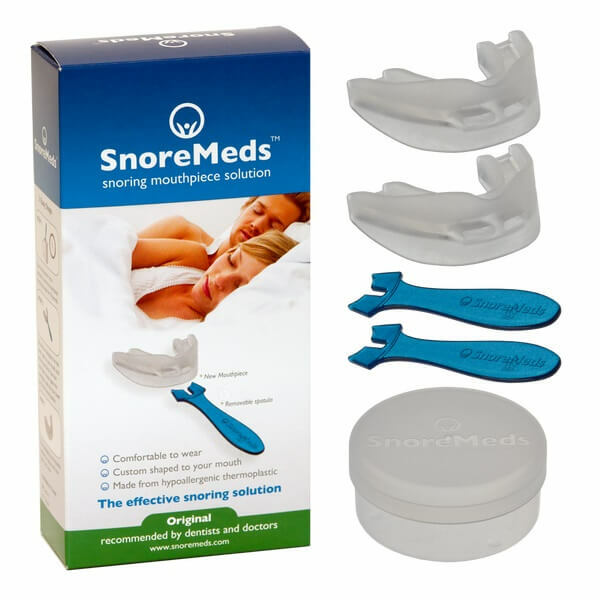 In recent years, the demand for anti-snoring products has sharply risen as an increasing number of snorers attempt to cope with this bedroom hindrance on a nightly basis. With an increase in demand for such products, dozens of entrepreneurs began to manufacture and sell snoring mouthpieces with high hopes of taking home their piece of the market share pie. 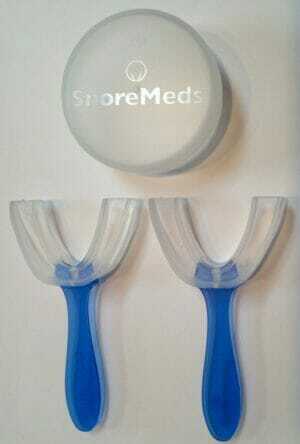 The creators of SnoreMeds happened to start their company in the midst of the stop snoring boom. SnoreMeds started selling their product locally in 2006 and expanded their global reach to include Norway, the United States, New Zealand, and Australia in 2008. In 2010 they introduced gender-specific devices which accommodate both “regular” size and “small” size mouths. 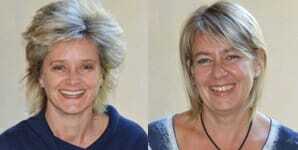 It all started in 1994 when two women from Durban, South Africa – Michelle Hall-Jones and Philippa Logan came together to form their first company together, Trio Interactive. Trio Interactive is a digital design solutions business that offers creative design solutions, web development, and online media solutions as well as several other services. Years later, the duo of Trio decided to use their specialized knowledge in web development combined with a conglomerate of information obtained from industry experts on the subject of snoring to form SnoreMeds. SnoreMeds currently operates as a subsidiary of Trio Interactive with its home office in South Africa, although they have branches in Valley Cottage, NY (USA), Tampere, Finland as well as a distributor in New Zealand. 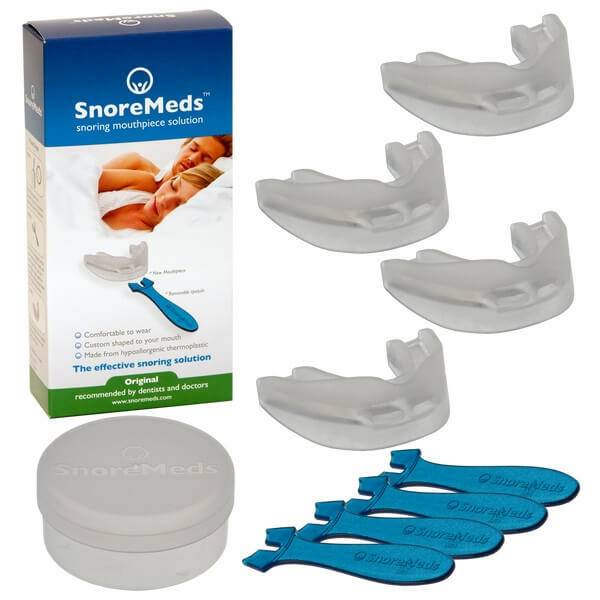 SnoreMed’s come in two different sizes – regular and small. While SnoreMeds associates their regular size with “Men” and their small size with “Women”, the important message to remember is that when choosing the appropriate size, you should first consider the actual size of your mouth rather than your gender. While it’s true that most women have a smaller mouth in comparison to men, it’s quite possible that a woman with a larger than average size mouth may benefit more from the regular size device or what the company refers to as “Men’s” size. Likewise, a man with a smaller than average size mouth may want to consider purchasing the small size or “Women’s” size. One unique perk that this company offers is the ability to allow you to purchase mouthguards in bulk at a discounted rate. While most manufacturers offer only one device, SnoreMeds allows you to choose from three different packages- single, double, or value pack. 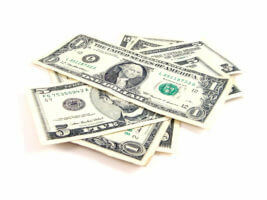 Of course, the more that you purchase at once, the lower your cost per unit will be. Since the average lifespan of this particular mouthpiece is about 4 months, stocking up may not be a bad idea, especially when they are available at a discounted rate. Below is a chart showing the cost per mouthpiece including shipping for the various packs that are currently being offered. Note, right now the company is offering free US shipping on orders over $98.95. Looking at the above chart, it’s fairly easy to see that the per unit cost (including shipping if applicable) is 60% less if you were to choose the four pack and 36% less if you were to go with the 2 pack instead of the single. Compared to the industry average, the single pack is substantially less expensive than other single products industry-wide while the four-pack sells for about the same price as one mouthpiece from other manufacturers. What’s the catch? How can SnoreMeds sell their product for substantially less than their competitors who sell a near identical product? While I’m not completely sure of how the company operates, I can only make an educated guess. The simplest explanation is that it all boils down to production cost. 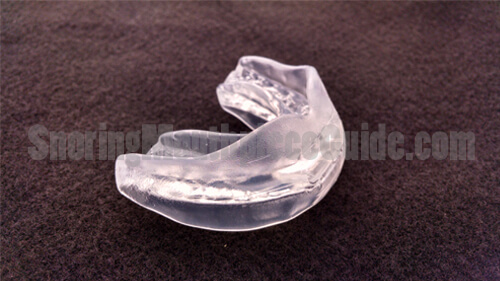 Throughout the years of reviewing snoring mouthpieces, I have learned that the cost to produce a simple boil and bite mouthguard is probably a lot less than most people could ever imagine. While I’m not going to reveal the actual average cost that I have heard, I will speculate that the SnoreMeds is being produced for pennies on the dollar. Granted, most manufacturers spend gobs of money on advertising, maintaining a warehouse, payroll, etc, however, there’s still quite a bit of wiggle room built in there. 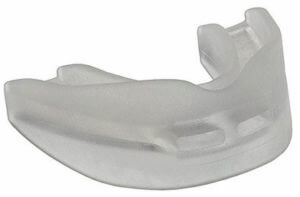 You can think of SnoreMeds as the Walmart of mouthpieces. While they are working with lower profit margins in comparison to their competitors who are selling one boil and bite device for $60, they are making their money by selling in volume. Can you find these devices for even less than $25.00 each? Absolutely! 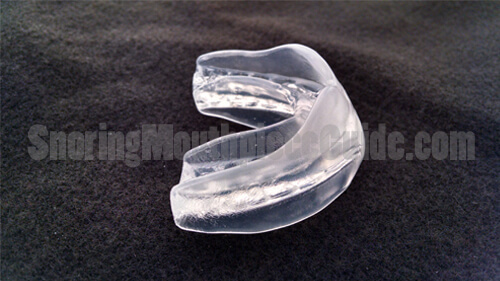 I have seen plastic mouthpieces being sold on eBay for less than $2.00 each including shipping. However, I would never recommend putting one of these in your mouth because they can be highly toxic. Why? Because extremely inexpensive mouth guards are almost always mass produced in a third-world country using questionable plastic material that is likely not at all safe. The difference here is that the SnoreMeds comes from a well-established company that is known and trusted. They use latex and BPA-free plastics and are made from FDA cleared material, making their product safe when used as directed. 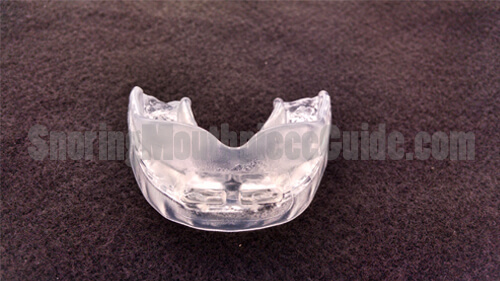 A mouthpiece being sold for the purpose of reducing or eliminating snoring without these credentials is potentially dangerous. 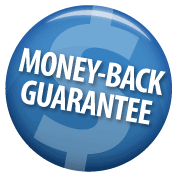 In general, most manufacturers offer some type of “money back guarantee” or “satisfaction guarantee” with their product. Industry-wide, this guarantee period is typically for 30 days after the product is received. 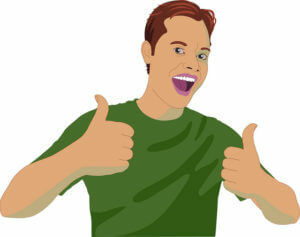 SnoreMeds offers a guarantee period of 45 days after receipt of shipment. While having an additional 15 days to decided whether or not to keep the device is a nice selling point, it’s not at all necessary. As with any mandibular advancement device, you will know within the first week whether or not it’s going to work for you. Their return policy states that if you receive a damaged product or wrong one, they will exchange it free of charge. As for returning a mouthpiece that you are not satisfied with, they will refund the total amount paid minus the shipping cost which is $7.84 for US buyers. The buyer is also responsible for return shipping which will cost between $3-$4 (domestic shipping) using the least expensive option of USPS first class mail. Ultimately, the total out of pocket expense for simply trying one and returning is somewhere around $12. Since the one I tested is the regular size, or “men’s size” as the company refers to it as I’m only able to offer the measurements for this particular size. The women’s size will, of course, be smaller. At it’s widest point, it measures 65mm (2.5″) outside and 34mm (1.3″) inside. The overall depth is 44mm (1.7″). It’s 25mm (1″) thick at the very front. The two breather holes measure 3mm tall and 10mm wide. When it comes to choosing a mouthpiece, there are three key points that everyone should consider – FDA status, use of BPA’s, and use of latex. 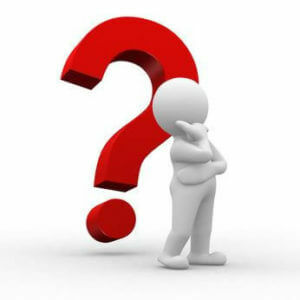 All three are important considerations that should be examined prior to making a decision. Out of all boil and bite MAD’s that are currently on the market, only a handful are actually being sold with FDA clearance. The FDA classifies devices such as the SnoreMeds as a class II medical device. It’s up to the manufacturer to convince the FDA that their product is “substantially equivalent” to similar products on the market, making it safe to sell. While looking into the FDA status of the SnoreMeds, I noticed that the manufacturer states that they use “FDA cleared materials” to produce their mouthguards. The use of such material is recommended as other types of material used to produce an oral appliance could be potentially hazardous to your health. 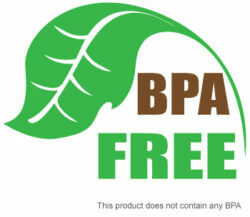 As for being BPA free, while the Environmental Protection Agency (EPA) claims that BPA’s are not harmful while others suggest that it may cause health concerns and should be avoided if possible. Since this mouthpiece will remain in the mouth for 8 plus hours every night, it may be a good idea to play it safe and use a product that is labeled as BPA free. The SnoreMeds is labeled as “BPA free“. Those with latex allergies will want to take a close look at the materials used before choosing a device that contains latex. According to the manufacturer, this device does not contain latex so it should be suitable for those with such allergies. So what exactly is used to make the SnoreMeds? If you were to look closely each mouthpiece you will notice the letters “EVA” stamped in the corner. These three letters can shed some light on exactly what this device is made from. EVA stands for Ethylene-vinyl acetate. 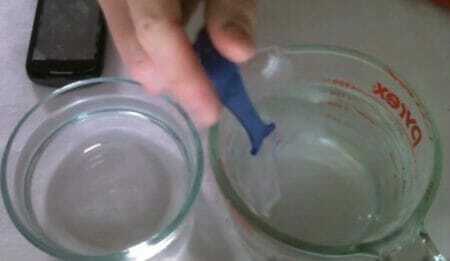 This is a copolymer of ethylene and vinyl acetate and it’s commonly used to produce boil and bite style mouthpieces. Being around for nearly a decade, there are several product reviews scattered across the internet. 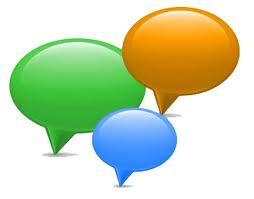 Here are a few customer reviews that I came across while searching for information on this product. Throughout the years I have literally tried dozens of different boil and bite style mouthpieces and wrote about my experience on this website. While there are usually some slight variations in design, they are all almost identical when it comes to function (with the exception of the Good Morning Snore Solution). After receiving the SnoreMeds and taking a quick look, it was obvious that this was yet another standard run of the mill boil and bite device. Being run of the mill is not necessarily a negative connotation as past experience has taught me that such mouthpieces have proven to be incredibly effective, comfortable and durable, despite their simplicity. After reading over the instructions I was ready to give the SnoreMeds a try. 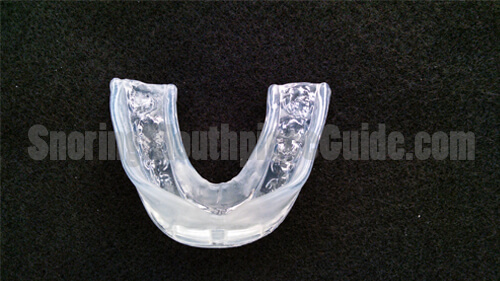 Here’s a quick rundown of how I prepped my mouthguard for use. Remove and ensure that the plastic edges are not folded over. If they are, use a finger to straighten out the edges before proceeding. Place the mouthpiece into your mouth with the curved side facing up (very important). Use a mirror to help center it inside of your mouth. Bite down firmly and immediately push out on your lower jaw to move it out 3-5mm. This is perhaps the most important part of fitting the device. Without advancing the jaw forward, this product will not work. Run your fingers along the outside of your teeth and use your tongue to push the plastic against the inside of your teeth. Hold this position for about 30 seconds to one minute. 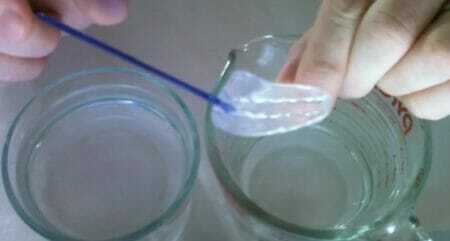 Remove the mouthpiece and dip it into a bowl of ice-cold water or run it under cold tap water. Remove the fitting handle and check for proper fit. When in place the lower jaw should be resting slightly forward from its natural position. If the proper fit is not achieved, the manufacturer recommends trying to fit once more. Heating the device and fitting it more than twice will compromise the integrity of the material. Place SnoreMeds into cold water for about one minute after creating an impression. Now, for the moment of truth. Does the SnoreMeds really work? After completing the fitting process I was ready to put it to the test. Shortly before going to bed I put the SnoreMeds into my mouth. As with any boil and bite device, it does take a little while to become accustomed to wearing it. I have been using the GMSS for several months now so going back to a traditional boil and bite device was somewhat of a challenge at first. For the first two night, there was a bit of soreness and excessive drooling that occurred. This is very typical of all MAD’s. After the second night had passed, I no longer experienced either of these side effects. From here it was smooth sailing. I tested the SnoreMeds for a total of three weeks to see how the material held up with extended use. Once the three weeks were up I closely examined the mouth guards and did not see any signs of stress of failure. So did it prevent my snoring? Yes! It worked every single night without a hitch. I had not experienced any snoring and woke up refreshed and energized every morning. 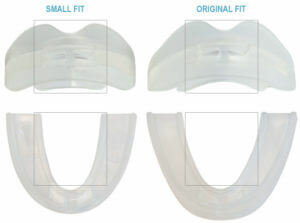 When shopping for a standard thermoplastic boil and bite style mandibular advancement device, it’s very easy to become overwhelmed with the sheer number of products that are available. Learning about a product is, of course, the best way to make an informed decision. 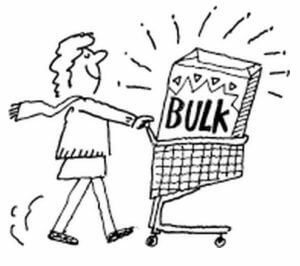 Choosing a product that is safe and effective as well as comfortable and inexpensive should be your top priorities. After trying out several MAD’s that are similar to this product, I realized that almost every one of them actually worked well. Since they all work, I recommend focusing on safety, comfort, and affordability. The SnoreMeds passed the safety and comfort test without any issue. One area where this product excelled was in value and affordability. I would definitely recommend going with the four pack because the per unit cost breaks down to $24.74 each. This is considerably less expensive in comparison to similar products that often sell for $60 each. One potential downfall of this product is its life expectancy. According to the manufacturer, it must be replaced every 4 months so expect to go through at least three per year. Depending on how well you care for it and how gentle you are with it while sleeping, the time between replacements could be longer. After using for 3 weeks the SnoreMeds seemed to have held together very well and didn’t show any signs of needing replacement anytime soon. Nonetheless, the SnoreMeds is an excellent product that is comfortable, safe, effective and very affordable. I would highly recommend this product to anyone who is looking to get the most bang for their buck. 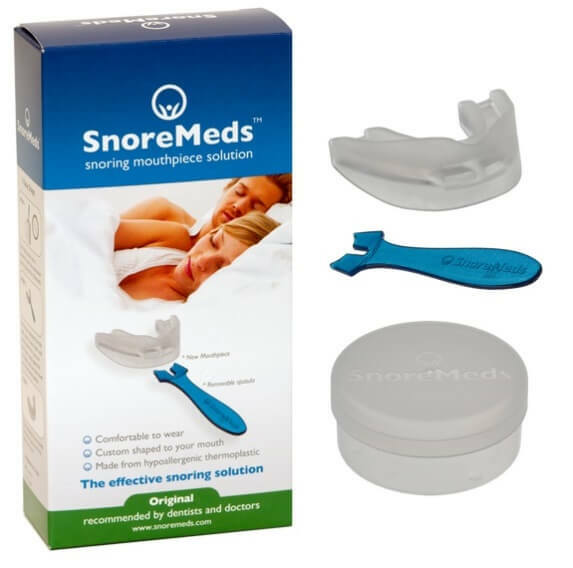 Next post: Snore No More Goodnight Anti Snoring Ring Review – Does it really work? 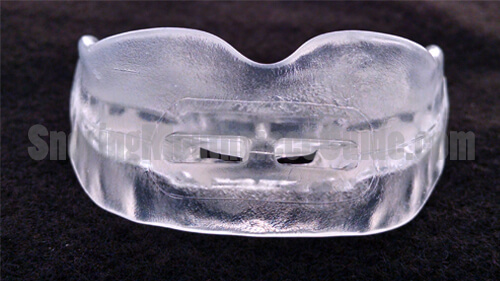 Previous post: Review of SleepTight Snoring Mouthpiece – Does it really stop loud snoring?